Realistic graphics, artificial intelligence, next-level physics, low-latency multiplayer, virtual reality — these are the hallmarks of modern AAA gaming. Some games are even starting to push the limits of photorealism How to Benchmark Your CPU and GPU Like a Pro How to Benchmark Your CPU and GPU Like a Pro Benchmarking allows users to gauge hardware performance, troubleshoot issues, and compare system setups. It's commonly used among gamers. We introduce you to the technical details and show you how the pros benchmark their systems. Read More ! But even the most beautiful games can’t match the boundless creativity of human imagination. And that’s where text-based games still shine. Yes, even now! Known as interactive fiction, text-based games combine the best of two worlds: books and interactivity. They’re like choose-your-own-adventure stories on crack, and they’re perfect for those who want to create interactive stories without pouring lots of time or money into art and sound assets. Interested in making text-based games of your own? The process is a lot easier than you think (though the actual creation may take a while How to Stay Motivated on Long-Term Projects and Not Give Up How to Stay Motivated on Long-Term Projects and Not Give Up If motivation was easy to cultivate, nobody would have any problems doing so! For those who lose motivation over long term projects, these tips may prove fruitful. Read More ). 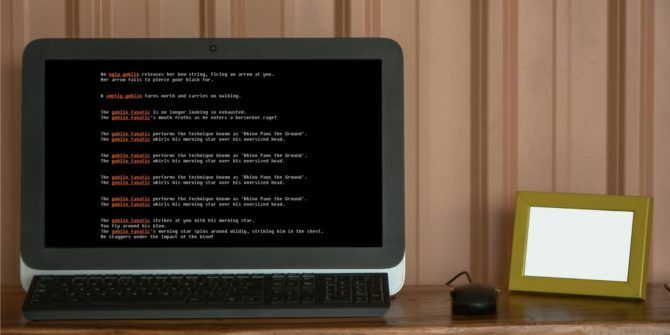 All you need is to pick one of the following text game engines and let your mind roam free Where Can I Find Old and New Interactive Fiction Games? Where Can I Find Old and New Interactive Fiction Games? Back in the 1980s, I remember a game on my MS-DOS computer that was played solely by reading directions or clues, and typing responses. Read More . Twine is a desktop app that lets you create interactive stories and export them as web pages so you can upload them and share them with the world when you’re done and ready. You don’t need any coding experience for simple, basic stories. Twine is straightforward to learn, aided by the official Twine wiki which has a series of screencasts to help you get started. The official reference guide is also quite informative. The wiki also has details on how you can publish your stories on the web for free. For even more support, or if you just want to hang out with other Twine users, you should check out the official Twine forums. Here you can discuss the Twine engine, share your works-in-progress, and discover new tips and tricks to help you become a better storyteller. 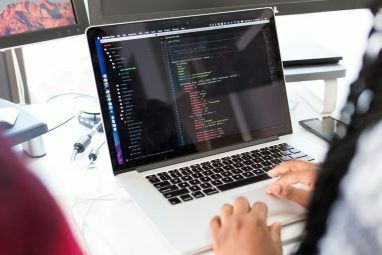 You don’t need to have programming experience to do well with QUEST, but you’ll probably pick up on programming concepts along the way once you start using QUEST’s built-in scripting language for handling complex logic. With it, you can add sound effects, music, images, and even video. QUEST games can be created with the desktop app or the web app, and all games can be exported to the web and played online. What’s really nice is that you can even sell your QUEST games if you want to — there are no commercial restrictions. Also note that QUEST is open source and licensed under the MIT License What Is Open Source Software? [MakeUseOf Explains] What Is Open Source Software? [MakeUseOf Explains] "Open source" is a term that’s thrown around a lot these days. You may know that certain things are open source, like Linux and Android, but do you know what it entails? What is open... Read More , which means you can download the source code and modify it however you want, creating your own fork Open Source Software and Forking: The Good, The Great and The Ugly Open Source Software and Forking: The Good, The Great and The Ugly Sometimes, the end-user benefits greatly from forks. Sometimes, the fork is done under a shroud of anger, hatred and animosity. Let's look at some examples. Read More if you don’t like the direction of the QUEST development team. But QUEST’s best selling point is that it has one of the most active communities of all the text game engines currently available. Specifically, the official QUEST forums have regular traffic and new posts on a daily basis. If you want community, QUEST might be the best choice. ADRIFT is one of the oldest functioning options for creating your own text-based games. Its unique selling point is pretty clear: absolutely no programming experience needed, even if you want to create non-trivial narratives. The beauty of ADRIFT is that everything is driven by the GUI, meaning drag-and-drop selections, folder navigation, drop-down menus, etc. All characters, events, objects, variables, etc. are click-to-set-up, making ADRIFT one of the easiest systems to use. The only downside (a relatively small one at that) is that ADRIFT games can only be played through the ADRIFT Runner application. The good news is that ADRIFT is cross-platform, and you can even create games through a web interface, so it’s not too much of an inconvenience. Looking for games to play? Check out ADRIFT’s own database of games. Need help or want to hang out with other ADRIFT users? Check out the official ADRIFT forums. If none of the above appeal to you, don’t fret yet. These aren’t the only text game engines out there! You’d be surprised at how many alternatives exists — this niche genre is incredibly passionate. Inform is one of the best-known engines, but we didn’t include it as a Top 3 option because it hasn’t been updated since late 2015. The software still works though, so if you want to give it a try, don’t hesitate to do so. inklewriter is a web-based text game engine that’s easy and fun to use. You can combine it with graphics to create graphical adventure games, but beware that it may be a lot of work to do that! 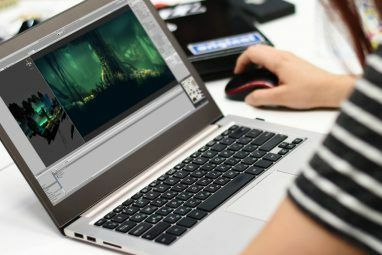 If you want to graduate beyond text games, you should check out these free game development tools 5 Free Game Development Software Tools to Make Your Own Games 5 Free Game Development Software Tools to Make Your Own Games Here are the best free game development software and tools you can use to start making your dream game today. 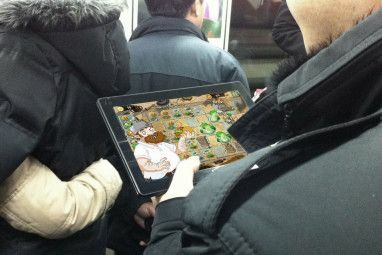 Read More that will ease the learning curve of making 2D and 3D games. Which text game engine appeals most to you? Did we miss any good alternatives? Do you have a story in mind that’s begging to be written? Share with us down in the comments! Originally written by Joel Lee on March 18, 2013. Explore more about: Adventure Game, Game Development. These three are so uniquely different yet they are all helpful and useful in their own right. If you can't decide, get all of them, try them out and figure out which one suits you the most. Of the three of them I can recommend Adrift, if you don't have the time of stomach for learning code. It's very easy to use and you're able to create qquite complex games with both graphic and sound. Nice article, Inform’s community is alive, but they use the Interactive Fiction Forums which is a community that is for all interactive fiction platforms. Mostly it is connected with the Intereactive Fiction Archives which is the world’s repository for all interactive fiction games of any platform and operating system. I have used the Adventure Game Toolkit which is no longer supported and is only able to run under DOS or Windows. The Windows version had some features cut (mostly the ability to use graphics and audio) and designed for 95 or 98. I have run it successfully up to Windows XP. Currently I have been trying Inform 7, the latest version of Inform. It is not for the novice, it is a professional level game creation system which is heavily rule-based. While it can create very complex games, I find it rather cumbersome to use. It also does not handle UTF-8 very well as it has a tendency to choke when even real quotes are used. Old AGT never had that problem. Which is why I am here, I have been looking around for an alternative. I guess the Agility system, which was the successor to AGT, is no longer used either. My OS is Linux now, so it looks as if TADS will be the best choice for me. Although, I do have a virtual Windows 7 on Linux. So I could use ADRIFT. I also want to mention here that Quest now has a browser-based version on their website. You can register for an account then save your games either privately or publically on their server. This is great if you cannot install Quest on your PC (maybe you don't have Windows) or you prefer file portability via cloud. I have noticed however that it is not quite fully featured however, and for some features you will have to download and import your file into the desktop version, but it is pretty close. It's all web-based with nothing to download or install. Free to create and/or play. Enjoy! Thanks for sharing. Good to know that IF is still alive! do you happen to know such a tool to use on an android phone? I haven't ever heard of a text adventure creator for Android. If one exists, I'm not aware of it. Sorry! Interested in Quest. Seems like a no-hassle, straightforward engine. I'm shocked - no mention of Inform? Due to length limitations, I had to cut down to 3 choices. The 3 in the article seemed to be the most well-recognized in the IF realm, plus they had the most active communities from what I could see. Forgive me if I was wrong to leave out Inform! I did not know there was a fellow IF enthusiast among us. I tried to learn Inform once. Still really want to create a game, just need to make the time.